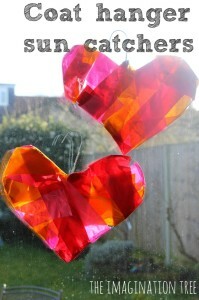 Create some beautiful stained-glass effect hearts for your window! 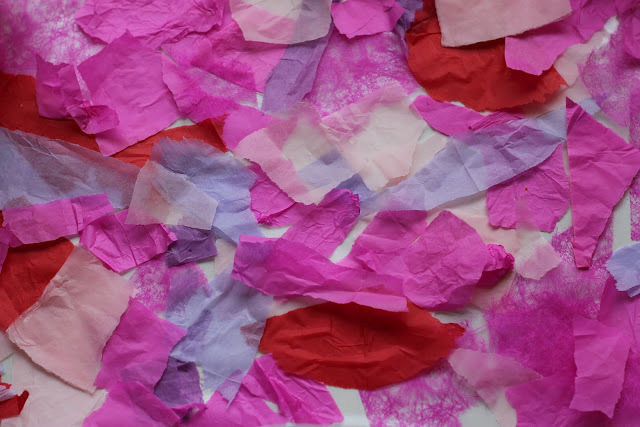 This is a really easy and popular art idea and was achievable and fun for both my 3 year old and 1 year old, which is always a real bonus! 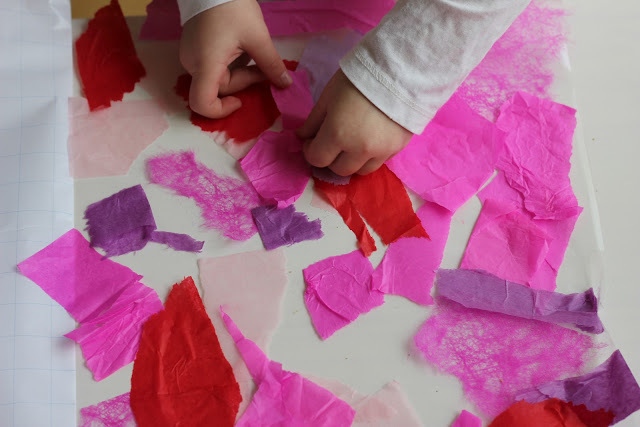 The girls helped me to tear pink and red tissue paper sheets into pieces of rough sizes and shapes. Great for fine motor control and co-ordination and surprisingly difficult for small hands to do! Then I took some contact paper (sticky back plastic) and folded it in half so that I had exactly enough to cover over the top when we were finished. I unpeeled the bottom half and secured it onto a table top (sticky side up) using pieces of sticky tape at the edges. This was by far the most difficult part and I nearly crumpled it all up a couple of times- always the same story with me and contact paper! 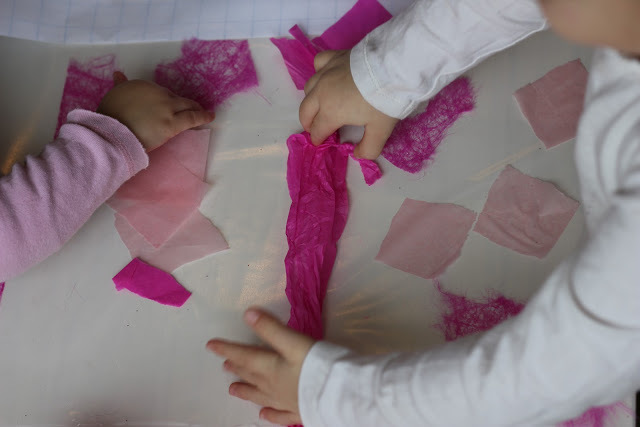 Then the girls simply laid down the pieces of tissue paper on top and smoothed them down so that they stuck flat. 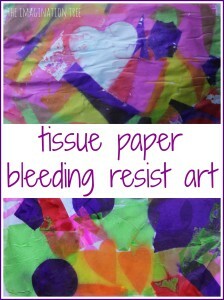 I also found some other pretty, textured papers which they added in. I think glitter and sequins could also look gorgeous! They managed to cover the entire piece of contact paper between them and then came the sealing down! I folded over the other half of the contact paper, unpeeling it as I did so and they smoothed it down to make it seal and stick. We had a few creases but it didn’t seem to make any difference to the finished product later, thankfully! 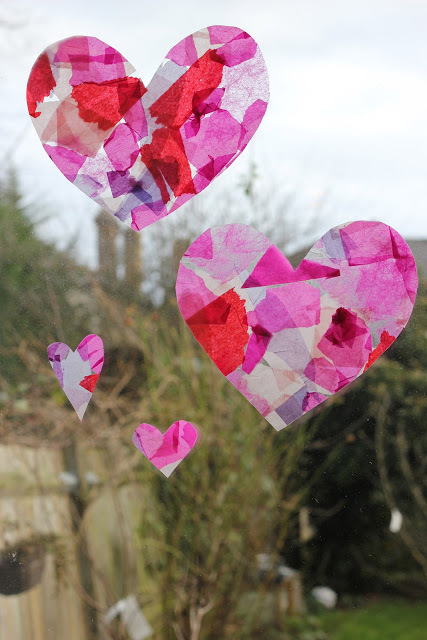 I cut out some different sized hearts and we stuck them on the window using blu-tac. Cakie was very keen to stick them up herself and decide how they should be in relation to each other. She made some lovely decisions! 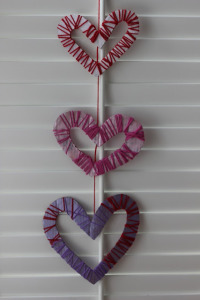 This would also look beautiful with differently coloured stars, flowers, or abstract art shapes. 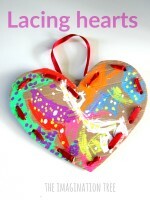 We will no doubt come back to this lovely, easy art activity many times in the near future! 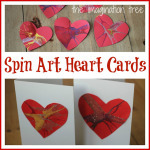 Looking for some more heart or Valentine related activities? 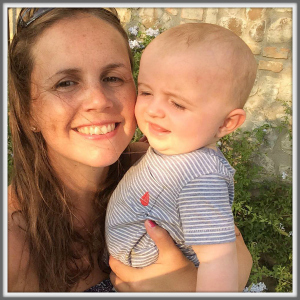 Click here to browse some of our other ideas! but I was admittedly stuck on the straight edges you get with scissors. Great to see ripped-up pieces look good too. 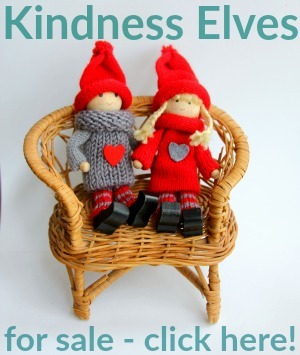 Funny how these simple little things teach us parents just as much as they teach the kids. Oh, that’s lovely! If I’d checked here earlier in the day, we’d have done this too. I’ve done this before with some autumn leaves, small feathers (picked up on a walk and too pretty to leave behind) and sequins, and they made beautiful window danglers. I will have to try this with my girls! 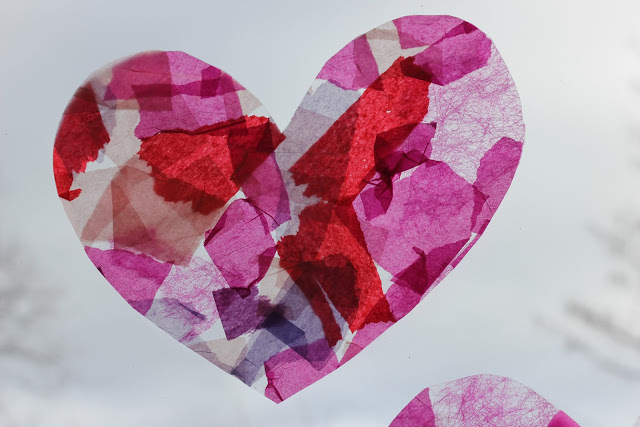 If you put cling film down and put a layer of watered pva on it. 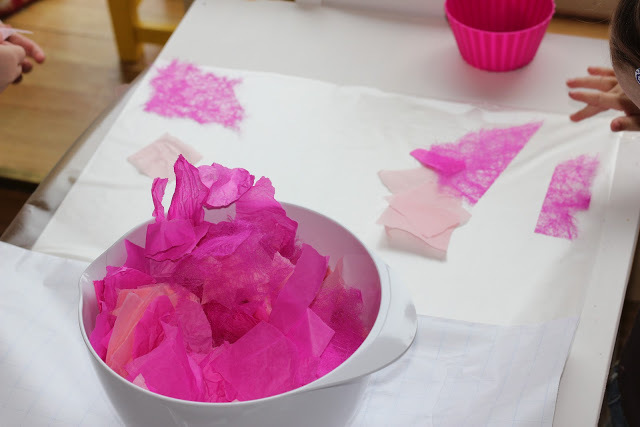 You can then build up layers of tissue paper and glue – leave to dry and then the cling film peels off! Just an extension of the idea :)! 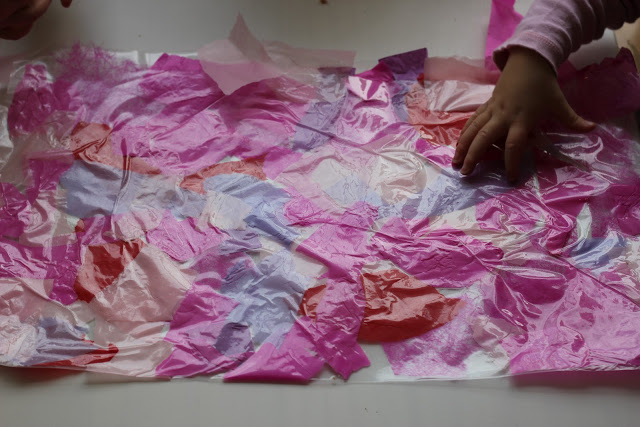 We made large sheets of it and then cut out shapes.